Siem Reap offers the magnificent Temples of Angkor-ancient ruins that are a display of architectural complexity and grandeur unlike anything else in the world. See the most famous temples here, such as Angkor Wat, honoring the Hindu god, Vishnu; and the Bayon temple, which features some 200 mysterious faces carved in its many towers. Enjoy an inspiring Aspara dance performance and other treasures of the city. Fly to Hanoi and explore the famous sites, such as the Old Quarter, where peddlers have traded goods for centuries on its 36 ancient streets. Next, a remarkable 2-night cruise along Ha Long Bay will show you its beautiful Limestone Islands. 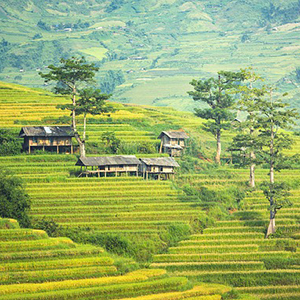 In Sapa, an important marketplace for the area, visit one of the famous Weekly Markets where homemade goods are sold and the ethnic minority groups of the area wear their colorful costumes. 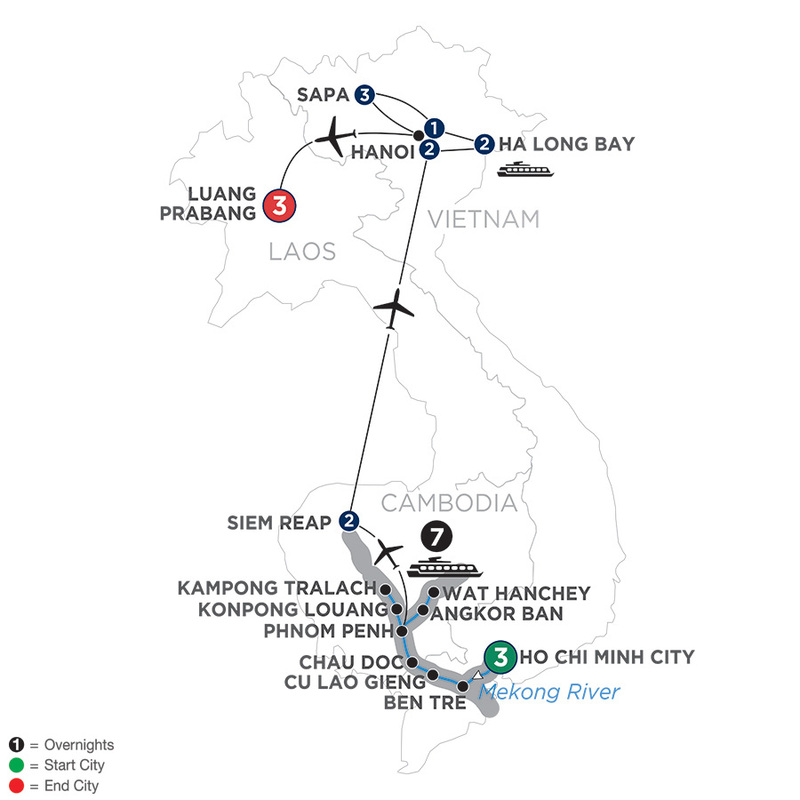 Luang Prabang, a UNESCO World Heritage Site, lies at the confluence of the Nam Khan and Mekong Rivers. This well-preserved ancient town represents the heart of Laotian culture. Your sightseeing will show you the famous sites, such as Wat Xieng Thong, considered the most beautiful monastery in the city. The perfect ending to an unforgettable Southeast Asia river cruise vacation!